The Boston Celtics will host the Cleveland Cavaliers in game 5 of the Eastern Conference Finals on Wednesday night. The series is tied 2-2 after both teams won the two games on their home floor. The Cavaliers defeated the Celtics 111-102 in game 4 to even the series. This has been a very physical series and competitive series for stretches of each game, but the average margin of victory is over 19 points per game. The Celtics are 9-0 at home this postseason and will be trying to take back control of this series in game 5. The Cavaliers are trying to become the 20th team to overcome a 2-0 playoff deficit and win a series. The Boston Celtics are +1.0 against the Cavs in game 5. LeBron James has been dominant his entire career, but the team that he has tormented the most is the Boston Celtics. King James dominated the Celtics in game 4, finishing with 44 points on just 28 field goal attempts. This was LeBron’s 25th career postseason game scoring at least 40 points. While LeBron was the best player for the Cavs, the play of Kyle Korver might have been the difference. Korver pitched in 14 points in the win, connecting on 4 of the 7 shots that he took. The Cavaliers know that the Celtics will make someone other than LeBron beat them in game 5, and Korver and JR Smith might be the key to a Cavs victory. Boston has struggled all postseason long on the road, and this can be contributed to getting off to slow starts. In game 4, Boston scored just 18 points in the 4th quarter and found themselves down by 19 points early in the second period. The Celtics hope that playing in front of their home crowd will provide the early energy that is needed in game 5. Jayson Tatum and Jaylen Brown appeared to figure out the Cavaliers defense in the second half of game 4. The young stars continually attacked the basket and were able to use their strength and athleticism to finish around the rim. If Boston isn’t making 3 point shots in game 5, the Celtics will need Brown and Tatum to be aggressive to provide scoring. Both teams know that the winner of game 5 in a series tied 2-2 has a great advantage to win the series. Look for both the Cavs and the Celtics to play with a sense of urgency on Wednesday night. The Cavaliers hope that LeBron can have another historic night to lead them to their third straight win in the series. Boston must figure out a way to have a better first quarter, but they also must find a way to contain James. Coach Brad Stevens will do his best to create a defensive game plan centered around making someone other than LeBron beat them. 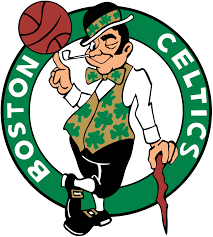 Look for the Boston Celtics to play a complete game, and for the Celtics to stay perfect at home. Bet the Boston Celtics +1.0 to beat the Cavs and take a 3-2 series lead.